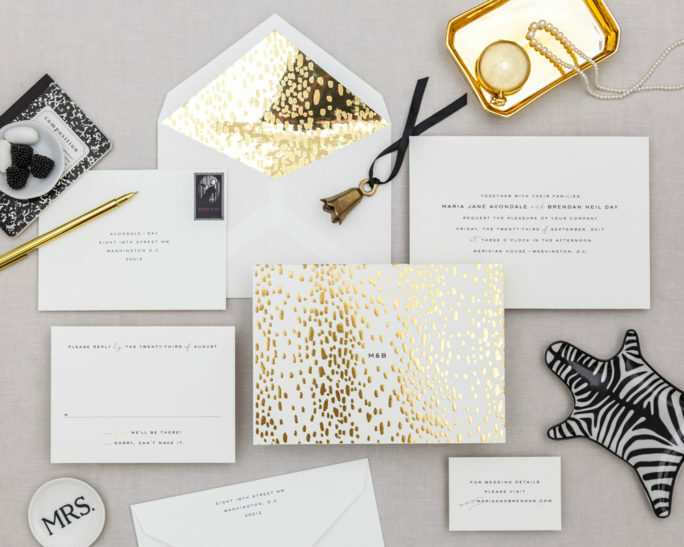 It’s understated but bold – and it’s gold! This invitation has two sides and there’s a hint of animal print. 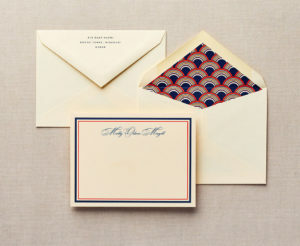 Bring in the mirror paper envelope liner to add even more glam to this set. 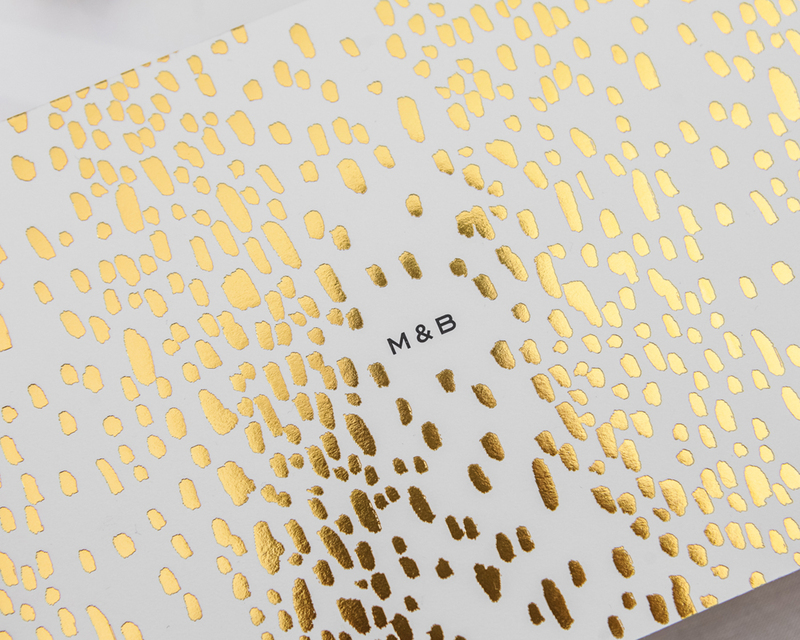 One color reply card printed on one side with foil stamped Yes! For 100 sets, pricing starts at $20 per set for Flat Printing, $22.50 per set for Flat Premium and $25.50 per set for Letterpress Printing.